Home » News » Knowhow » Are Pharmaceutical Manufacturers Permitted to Publicly Respond to Negative Media? Are Pharmaceutical Manufacturers Permitted to Publicly Respond to Negative Media? Advertising Prohibitions for Prescription-Only Drugs – Are pharmaceutical manufacturers permitted to publicly respond to negative media? All advertising of prescription-only drugs to general public prohibited. In Germany, as in the rest of the EU, advertising for medicinal products is strictly regulated. Prescription-only medicinal products may be promoted only to healthcare professionals qualified to prescribe or supply them (Sec 10 Advertising of Medicines Act, HWG ). General advertising of medicinal products to the public is entirely prohibited (Art. 86 et seq of Directive 2001/83/EC of the European Parliament and of the Council of November 6, 2001 on the Community code relating to medicinal products for human use, the “Directive”). The preamble to the Directive clarifies that, in order to safeguard public health, information supplied to users should provide ample consumer protection, in order that medicinal products may be used correctly on the basis of full and comprehensible information (Recital 40); this public interest justifies the restriction of the principle of freedom of expression. What is “Advertising” within the meaning of the Directive 2001/83/EC? “Advertising” is defined in the Directive as “any form of door-to-door information, canvassing activity or inducement designed to promote the prescription, supply, sale or consumption of medicinal products” and is interpreted very broadly by the German and European courts. The term encompasses dissemination on the internet of information relating to medicinal products (ECJ C-421/07 , Damgaard, in which information was published by a journalist on his website). “If the message is designed to promote the prescription, supply, sale or consumption of medicinal products, it is advertising for the purposes of that directive. However, material which is purely informative, without promotional intent, is not covered by the provisions of that directive relating to advertising of medicinal products” (ECJ C-316/09 MSD Merckle, which allowed the literal reproduction of the package leaflet on the manufacturer’s website). May manufacturer react if drug is maligned in a media “shitstorm”? In a recent decision handed down by the Higher Regional Court of Cologne (Oberlandesgericht Köln) as Appeal Court on January 12, 2018 (6 U 92/17), the court was called upon to decide whether public messages pertaining to a prescription-only veterinary product may be permissible if made in reaction to ongoing negative discussions about the product that appeared in social media. In this case, the Appeal Court decided that, when hit by a media “shitstorm” (original phraseology unedited), a pharmaceutical manufacturer may defend its product in publicly disseminated materials. 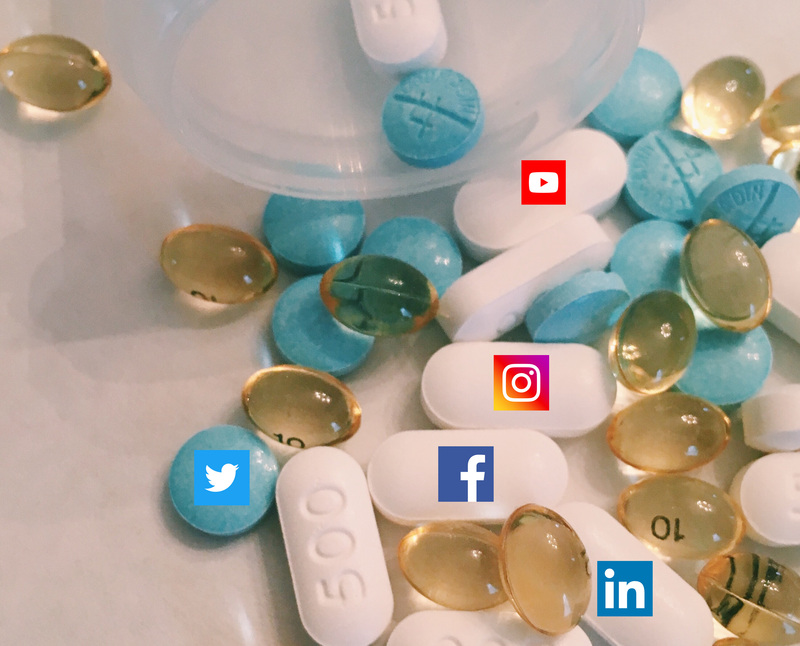 The defendant’s product in the subject case had been massively maligned in social media with incorrect and substantiated allegations about its side effects. In response, the defendant posted several items on Facebook with links to its homepage for “further information”. The competitor’s application for a preliminary injunction was successful in the court of first instance but was largely overturned by the Court of Appeal. The upper court applied an overall assessment of the parties’ constitutional rights, in particular the right to free speech and the freedom to practice a profession on the one hand and the public interests underlying the advertising prohibition on the other hand. To the extent the manufacturer’s Facebook posts and linked information specifically addressed the social media discussions and were, for readers, clearly a response to these, they were held to be permissible, even if the content would otherwise be deemed promotional. To the extent the Facebook post claimed the drug was “safe and effective” and did not sufficiently clearly address the public discussion, the injunction was confirmed. While the decision pertains to a veterinary drug, it is more broadly relevant for two reasons. First, under German law (as is reflective of the law in a number of EU member states) veterinary products are subject to the same advertising restrictions as human medicinal products. Secondly, this recent decision further develops the line of jurisprudence introduced by the German Supreme Court in 2009 (BGH I Zr 213/06), which allowed Pfizer’s public statements in reaction to public discussions on pricing of its (human medicinal) product “Sortis”. Until the European Court of Justice is called upon to address the questions of whether and to what extent manufacturers may make public statements in reaction to negative media, a clear and well-reasoned line of case law in a Member State may help to establish a consistent body of jurisprudence within the EU and provide manufacturers with much-welcome guidance. For information on Austrian pharmaceutical advertising laws, please contact Katrin Hanschitz or your customary relationship professional at KNOETZL. A more thorough and edited version of the article is anticipated to appear in the ABA 2018 Year in Review.